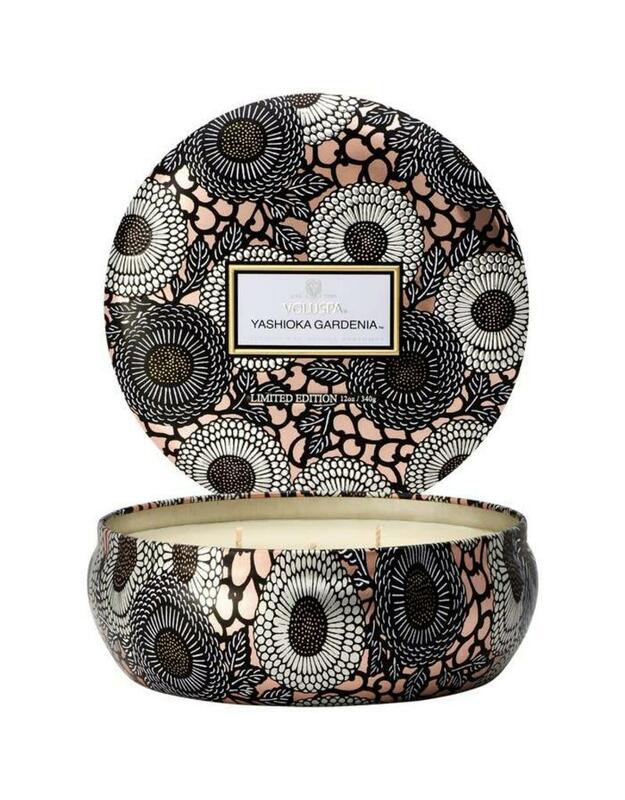 Yashioka Gardenia contaisn notes of Yashioka Gardenia, Tuberose, Tunisian Clove that burn from three 100% cotton wicks. 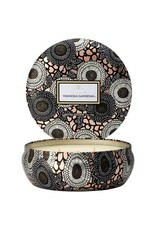 These rich jewel tones adorn this beautifully patterned metallic keep-sake tin. Burn time is approximately 40 hours.